Truth by Kbaig: Increasing Pessimism of Follower of Nathu Ram i.e. 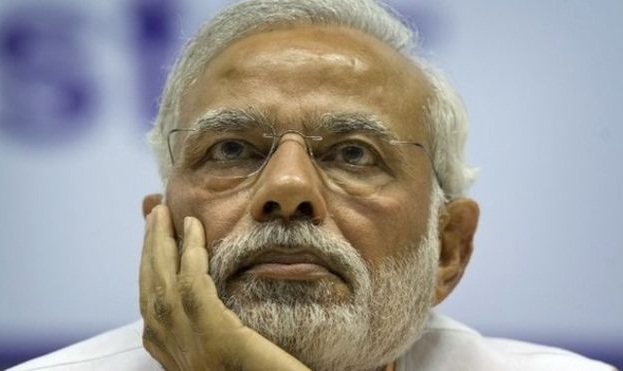 Modi! Increasing Pessimism of Follower of Nathu Ram i.e. Modi! A country cannot insult and violate Geneva Convention, diplomatic values chalked out by UNO and relations between two states more than that DG Punjab Rangers Major General Umar Faroq from Pakistan was called for negotiations in India and during his visit he signed memorandum with his counterpart of BSF India. Yet the ink of the signed memorandum had not dried that India laid false allegation against Pakistan for shelling and firing which resulted in the death of an Indian Sub Inspector at Rajori Sector. Although Pakistan rejected this false allegation but why Indian raised such false allegations? We got the answer two days later when Indians killed a Pakistani youth on LoC (Line of Control) and on another sector 13 year old girl along with 4 other innocent Pakistanis became target of unprovoked firing and shelling. This was a message by India that despite the memorandum signed between DG Rangers and BSF, India would continue her old custom of killing and targeting unarmed Pakistani public. Hundreds of Pakistanis have been martyred in cowardly Indian firing and seize fire violations while thousands have got injured. If India had to continue the shelling and firing over the innocent Pakistanis then why the drama of negotiations between DG Rangers and BSF was staged? If we look at the aggressive policies adopted by Indian govt. internally against minorities especially Muslims and externally against Pakistan since Hindu extremist Modi came in power, India has been trapped in a difficult situation due to these policies. A deceitful and cunning politician like Modi is unable to find a way out from this situation. Indian analysts are terming him as famous Hindu Extremist character of RSS and Hindu Rashtariya Dal of 1947 Nathu Ram who murdered Gandhi as he and his party RSS blamed Gandhi (despite of Gandhi’s claims for representing Hindus) for independence of Pakistan. 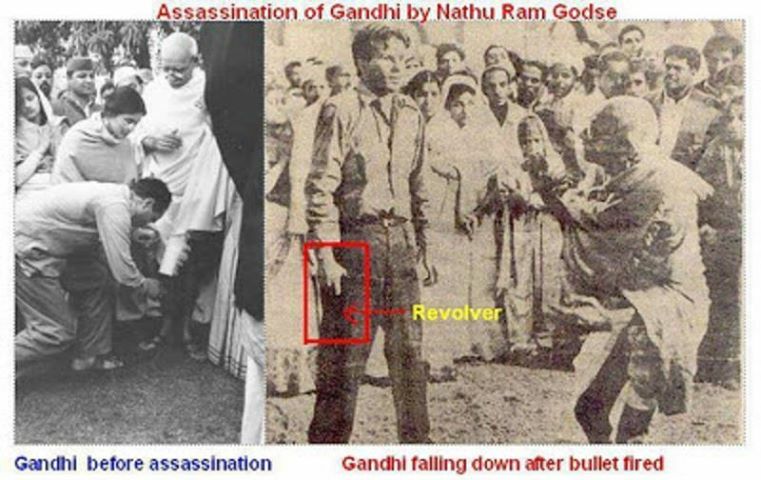 He shot dead Gandhi from zero point on 30 January 1948. Now the respect and importance of Nathu Ram in the Modi’s Extremist Hindu India can be imagined from this that a documentary “Desh Bhagat” over him has been prepared and was released on 30th January 2015 as this day is celebrated as mourning day. Now Hindu extremists are trying to celebrate this day as SORIYA DAS (Bravery Day) in the commemoration of the Nathu Ram, all over the India. Murder of Gandhi was the expression of pessimism and defeat of extremist Hindus over the independence of Pakistan. However, now Hindu India is ruled by extremist Hindus followers of Kotalaya Chanakiya, respecting Nathu Ram as their National Hero, they came in power through the anti-Pakistan slogans and plans to remove Pakistan from the map of the world. Alas! Their plans are licking dust. After coming into power, how Modi and his establishment left no stone unturned against Pakistan through fraud, lies and propaganda. But Modi intoxicated with imagination of being unchallenged Prime Minister of Hindu India got trapped when he himself or on someone’s advice declared to celebrate 50th Celebrations of 1965 war. 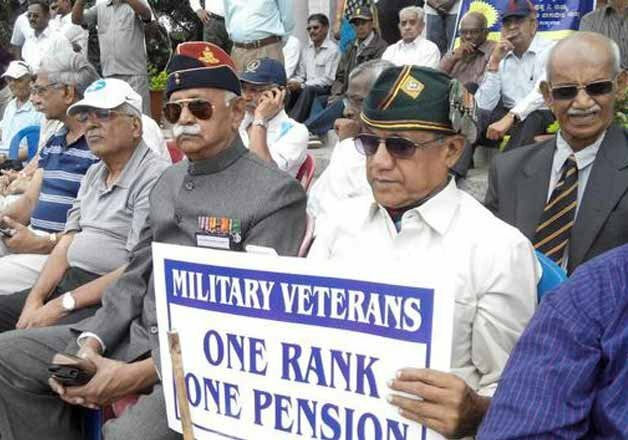 As a reaction to celebrate defeat as victory many retired Indian army soldiers denied to be part of these celebrations and came to the roads in favor of their demands. 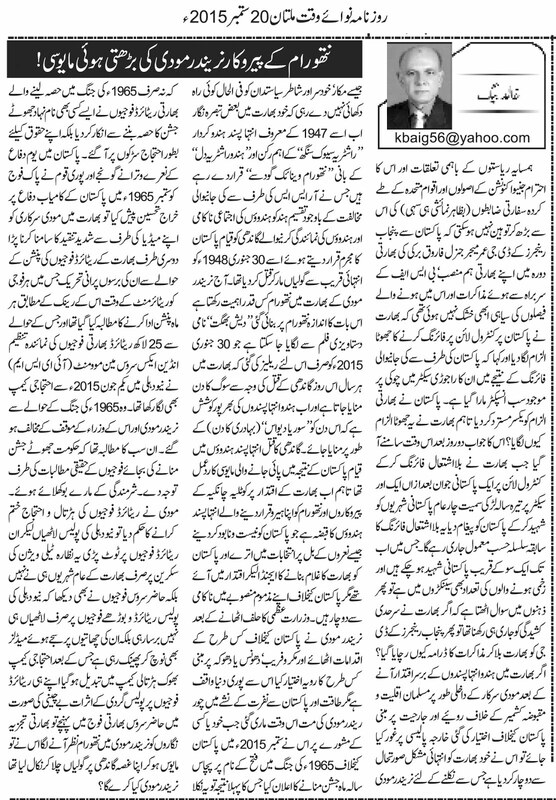 Pakistanis celebrated defense day with the national anthems and renewal of promise to defend motherland at any cost paying tribute to Pak army for the brave and selfless acts of zeal and fervor. On the other hand Modi govt. had to face the severe criticism from media. 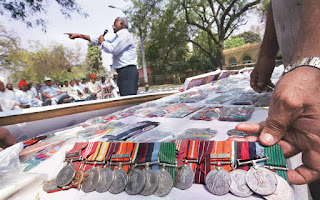 Indian Ex-Servicemen Movement IESM representing 2.5 million ex-Indian soldiers repeated their old demands that every retired soldier should be given pension according to his rank and had staged protest camp since June 2015. When they denied to participate 50 years celebrations of defeat as victory, Modi and his establishment turned against them. In spite of fulfilling their demands, Modi and his establishment ordered Police to disperse protesting ex-servicemen. As a result police started baton charging and man handling elderly retired soldiers of Indian army snatching the medals from them. 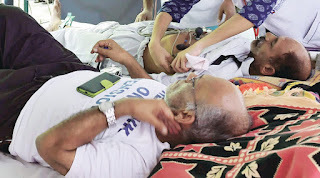 The protest camp has been changed into hunger strike camp. On duty officers and soldiers of Indian army should have got the idea that how Hindus treat their retired soldiers through Police when Hindu India does not need them anymore. 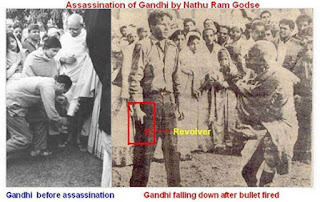 Indian analysts are foreseeing Nathu Ram in Modi, Nathu Ram had let his anger come out by firing at Gandhi but what will Modi do?? ?